Purified Water, Sodium C14-16 Olefin Sulfonate, Cococamidopropyl Betiane, Sodium Laurylglucosdies, Hydroxypropylsulfonate, Aloe Barbadensis Leaf Juice, Panthenol, Jojoba Oil, Borage Oil, Extracts of: Arnica, White Tea, Lavender, Calendula, Citric Acid, Sodium Benzoate, Potassium, Sorbate, Ethyl Hexyl Glycerin, Disodium Edta, Tetrasodium Edta, Sodium Phytate, Fragrance. The pool should stay at the pool. Swim & Sport Body Wash removes the tough stuff like chlorine, hard minerals and salt while restoring damaged skin. Aloe and jojoba oil soothes and moisturizes, while a light citrus scent leaves you feeling squeaky clean. 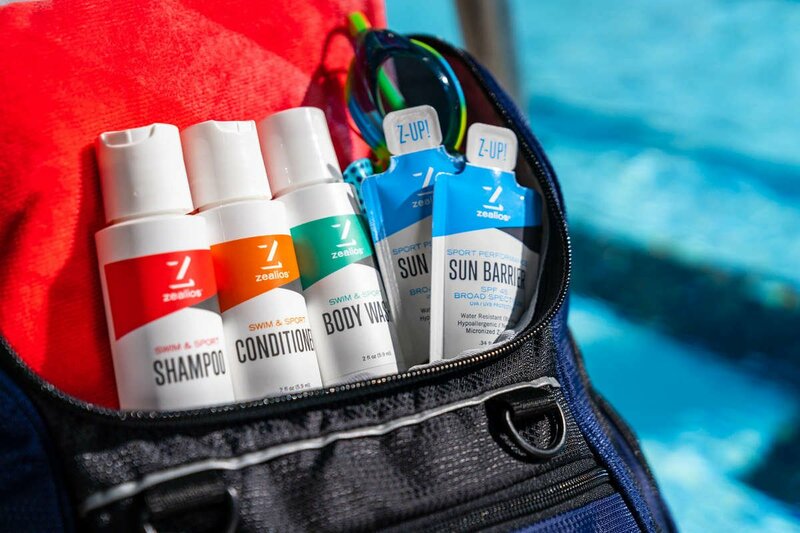 Take a handy travel-sized Travel Pack to the gym or pool.